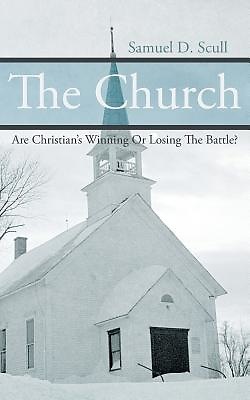 Are Christian's Winning or Losing the Battle? Most of what you will read in this book comes from seventy years of exposure to different churches, how they are operated, how the pastors are different in their interpretation of God's Word, and how politics and intellectuals sometimes have corrupted the body of Christ. This book is being written because God has given me answers to questions I've had for many years. I finally resolved to the fact that God talks to all born-again Christians, not just a few, as some would like you to believe. We all have the same opportunity to come before Him with our questions and concerns. When discussing His Word with biblical scholars, some of the answers I receive never seem to match what I read and understand about God's Word. Another reason for writing this book is because I want to know and share the truth. God is showing me through His Holy Spirit that the church is failing to tell the whole truth. Have you ever stopped and thought of all the different denominations and variations of each there are in the United States and asked yourself, are we winning or losing the battle?